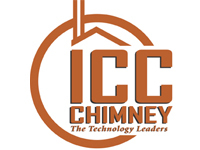 ICC Venting products are tested and listed to the ULC chimney standard. The ULC Standard is generally considered the toughest residential chimney standard in the world. EXCELPrime is premium single wall smoke pipe for wood burning stoves. All lengths are laser welded out of heavy wall 22ga satincoat steel. Available in 6”, 7”, and 8” diameters. No assembly required. The EXCELiner is certified as a stainless steel chimney liner for use on appliances that burn wood, oil and natural gas and comes in 5″, 6″, 7″ & 8″ diameters.